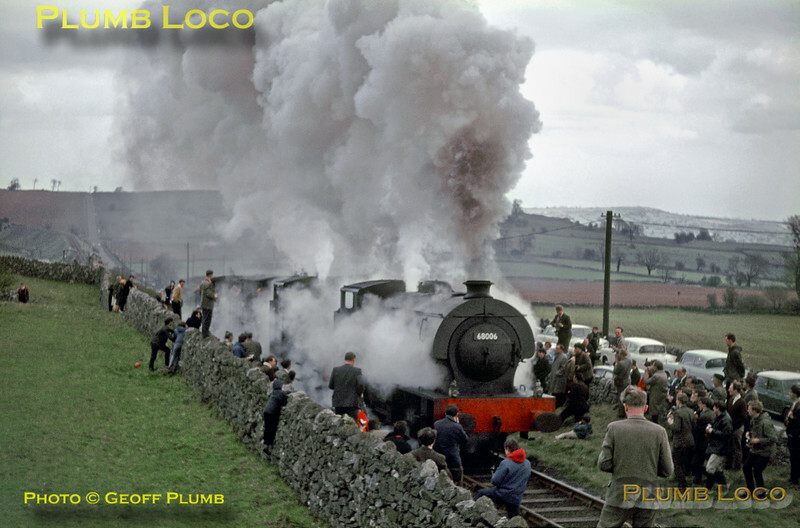 Ex-LNER J94 class 0-6-0STs Nos. 68006 & 68012 now make their third run up Hopton Incline with the two remaining brakevans. Having reached the top, the other two brakevans were coupled up again and the train continued to its next stop at Longliffe for water. Sunday 30th April 1967. Slide No. 2754.